THE recently completed 1.3 meter wide bike lane on Chapel St was aimed at creating safer travel for two wheeled commuters from Dandenong Road to Alexandra Avenue. 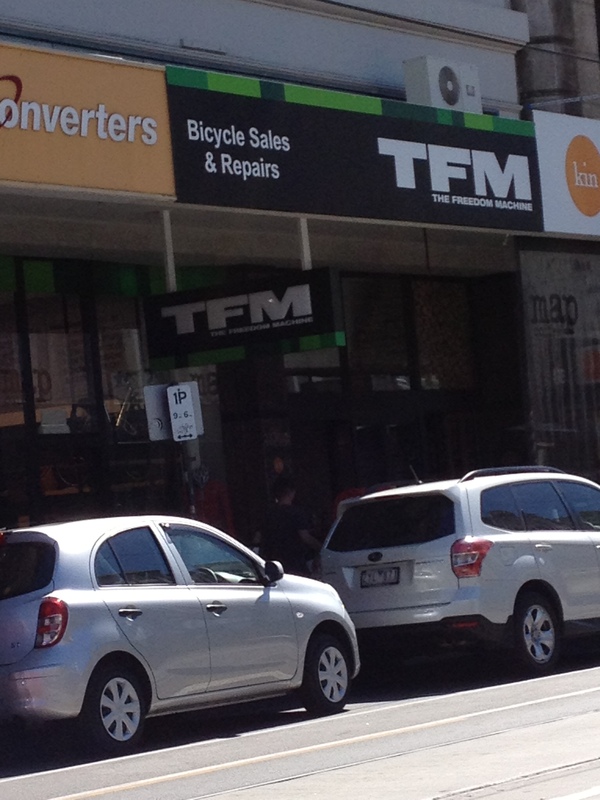 Nick at TFM (The Freedom Machine) bike shop on Chapel St said today that he didn’t think the lanes had achieved any greater safety. “The problem lies with lack of education, both pedestrians and drivers don’t pay attention. “A friend was almost killed by a guy stepping out in front of him the other day,” Nick said. According to the Stonnington 2011 Census, 46 percent of the local population drove to work and 2.4 percent rode bicycles with Chapel St the most popular route averaging 200 bikes per hour. Nick said they are trying to fit too much on a small street. “Putting the bike lane in has only made less space for cars as they are squeezed between the bike lane and the trams,” Nick said. A Stonnington Council spokesperson said today that it was too early to comment on the success of the project, but agreed that more education was also needed. Bicycle Network Victoria were unavailable for comment.